Aidan Harris Igiehon has decided to attend the University of Louisville. 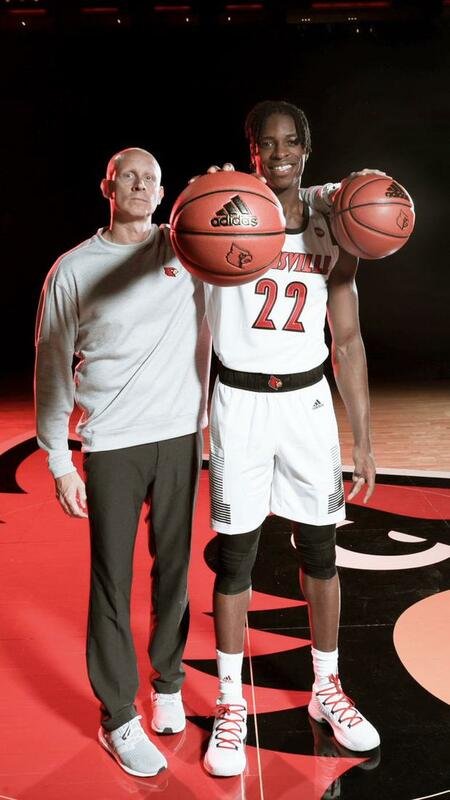 Top Irish basketball prospect Aidan Harris Igiehon has comitted to the University of Louisville as he continues towards his dream of playing in the NBA. Harris Igiehon, nicknamed the Irish Hulk, is a 6'10 centre who attracted attention from a host of top colleges. Born and raised in Clondalkin, Dublin, the top basketball prospect moved to New York in 2016 on a scholarship to finish his secondary education and to help him get noticed by colleges. His plan worked a treat and today he confirmed his decision to commit to Louisville, a prestigious basketball institution that won the NCAA tournament as recently as 2013. The other colleges Harris Igiehon considered were Kentucky, Oregon and St John's. ESPN have ranked the Dubliner as the 36th best high school player in America, and many are tipping him to eventually make the leap to the NBA when his college career is finished.